Getting pulled into a small, private area for a meeting with UFC president Dana White can never be a good thing, especially when it’s nearly bedtime just three days before your fight. 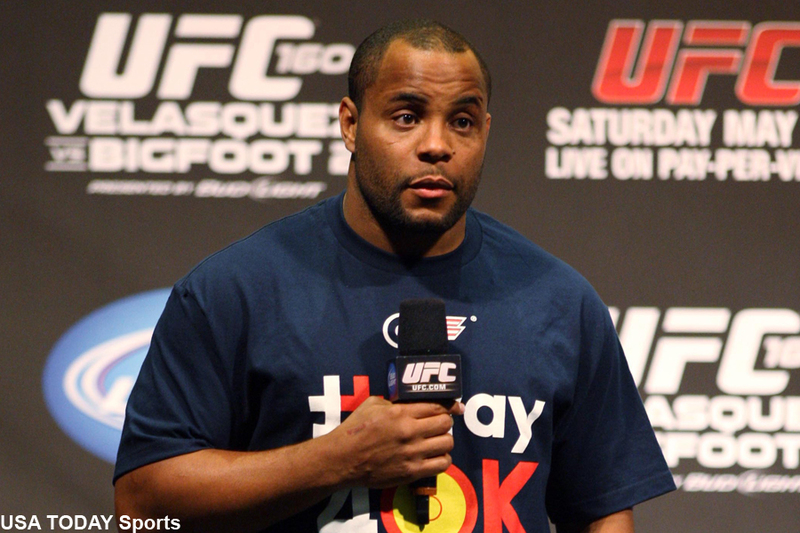 The fifth episode of “UFC 200 Embedded” captured White’s conversation as he informed UFC light heavyweight champion Daniel Cormier (pictured) that Saturday’s rematch against bitter rival and interim light heavyweight champ Jon Jones was off after Jones flunked a pre-fight drug test. Cormier’s reaction is heart-wrenching, as though you can feel his genuine disappointment through the screen. Cormier was brought to tears because the thought he would finally get the shot of avenging the unanimous decision defeat Jones handed him 18 months ago, which remains the lone blemish on his resume. Cormier kept stressing how hard he had worked during training camp, and even offered to sign a release to fight Jones anyway. Cormier probably shed more tears after realizing that he might get pulled from the historic event, costing him the biggest payday of his career. Thankfully for Cormier, White worked his magic and got former UFC middleweight king Anderson Silva to agree to face Cormier on just two days’ notice in a light heavyweight non-title affair.